Apple is expected to reveal new products in September including an entry-level 13-inch MacBook based on Intel’s seventh-generation processors. Industry sources claim that Apple originally intended this MacBook to rely on Intel’s upcoming 10nm “Cannon Lake” processors for a late 2017 release, but Intel delayed mass production of these chips until the end of 2019. Apple thus reconfigured this “affordable” MacBook to work with Intel’s current processors. Originally, we presumed Apple would introduce new MacBooks during its developer conference in June, but that never happened. Instead, Apple merely refreshed its 13- and 15-inch MacBook Pro with Touch Bar units without any fanfare. The changes weren’t significant enough for a full-blown on-stage presentation, but sources now point to an entry-level MacBook with a $1,200 starting price hitting the stage next month. The current status of the next MacBook Air is … up in the air. The thin-and-light laptop was supposedly set to enter production in the second quarter of 2018, but the company reportedly had to make changes due to a problem with a “key component.” That very component was likely a 10nm “Cannon Lake” chip that’s currently not scheduled to appear until the end of 2019. That said, the MacBook Air may still arrive in late 2018 despite naysayers citing its death. It would be part of Apple’s assault on the entry-level market, arriving with a starting price of $800 while the 13-inch MacBook would be a step up with a $1,200 starting price. It will likely replace the current 13-inch MacBook without the Touch Bar with a starting price of $1,300. If tablets are your cup of tea, Apple will supposedly introduce two new models next month. First, the third-generation iPad Pro will take notes from Apple’s iPhone X to sport an edge-to-edge design and a narrow, thinner body. The other iPad Pro will replace the 10.5-inch model currently on the market with a larger 11-inch screen. Both will reportedly ship with a new 18-watt USB-C power adapter so you’re not waiting forever for the Pro’s battery to recharge. Apple’s plans for the 9.7-inch iPad and the 7.9-inch iPad Mini are unknown for now. Both will still be made available when the newer iPad Pros hit the market later this year, but sources tell DigiTimes that Apple has no plans to further continue the iPad Mini family (currently at Gen 4). Apple refreshed its 9.7-inch iPad in March packing the company’s A10 Fusion chip and support for the Apple Pencil, so don’t expect anything new on that front in September either. Of course, we can’t spin the Apple rumor mill without talking about phones. The company is expected to reveal three new iPhones, one of which will be the iPhone X Plus with an edge-to-edge 6.5-inch display. The other two phones will consist of a 5.8-inch OLED screen (iPhone 9?) and a 6.1-inch LCD display (iPhone XS? ), the latter of which will be sold at an affordable price. Finally, Apple may introduce its AirPower wireless charger for a 2018 availability. Sources tell DigiTimes that the price will be somewhere between $161 and $193. Have you been following the news lately? It seems like there’s a new cyberattack or credit card breach every week. Protecting yourself from cyber criminals, viruses, and identity theft is no easy task, but there are ways to do so. Think of it this way, if you don’t currently have some sort of protection on your phone, tablet, or computer, you’re basically leaving the door open for anyone looking to do some cyber burgling. Important information about yourself is stored on your devices and constantly at risk, which is why so many people choose to protect themselves. And with this awesome sale on McAfee Total Protection, now is a great time to do so. McAfee Total Protection is more than just antivirus software, it’s an all-encompassing cybersecurity package. If you want to keep your passwords and private files safe, this program can help. With a powerful firewall, Network Manager, as well as a Web Safety tool, you can browse freely without fear of getting infected by malicious entities on the web. The addition of Wi-Fi protection for android tablets and smartphones will be able to safeguard you if you’re browsing anywhere within your home network. You also receive free 24/7 support for the life of your subscription if you need any questions answered about how you’re being protected. This sale offers three different options to choose from and each is based on the total number of devices being protected. Each offer is valid for the first year only, so the savings won’t roll over to the next year should you choose to renew your subscription. If you’re looking to get the most protection possible for your money this year, these McAfee deals are definitely an excellent option. From now until Wednesday, August 22, you can save up to $70 on your first year of security. That’s an entire year of Total Protection, including the 24-hour support, all for just $30. A chance to get quality protection at a price like this only rarely comes around, so make sure to take advantage while you still can. Looking for more great stuff? Find tech deals and more on our curated deals page, and be sure to follow us on Twitter for regular updates. When it comes to video streaming companies, few are as iconic as Netflix. What started out as a DVD rental service quickly turned into the world’s largest platform for binging old movies, classic TV shows, and a heap of original programming. 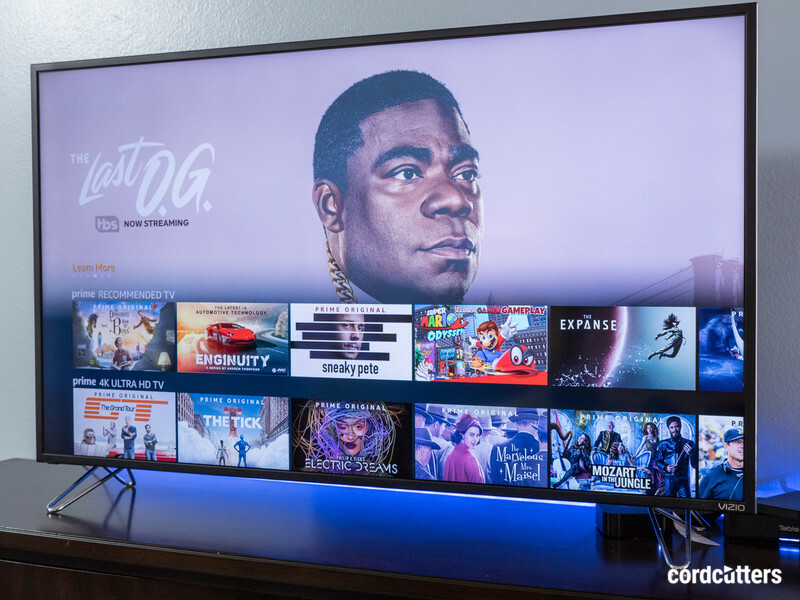 No matter if you’re looking to cut your cable cord or simply want some extra content to supplement it, Netflix can be a great addition to any household’s entertainment needs. To ensure it has exactly what you’re looking for in a video service, here’s everything you need to know! Unlike Hulu, Netflix’s cheapest plan includes ad-free content. That means no annoying commercials or advertisements while watching your favorite shows. However, as part of a test Netflix is currently running, that’s not the case for some users. On August 17, Netflix confirmed to TechCrunch that it’s playing video promos of its original shows and other content in between episodes while folks are streaming. If you don’t want to watch the promo, you can click the Continue button to get on with your show. This is currently being tested with a small percentage of Netflix users around the globe with no definite plans to roll it out to everyone. It’s possible Netflix decides to keep this around, but it’s just as likely the feature gets thrown to the curb and never sees the light of day. On Monday, August 13, Netflix issued a press release announcing that its CFO David Wells is planning to depart the company. Wells will leave Netflix after helping the company pick someone to replace him, and during the search for the perfect candidate, Netflix will be looking both internally and externally for the right match. David Wells first joined Netflix back in 2004 and has been serving as CFO since 2010. All of the above phones are also supported for HD playback, in addition to the Huawei MediaPad M5 10 Lite, MediaPad T5 10, and Nova 3. It’s been five years since Netflix introduced multiple profiles on a single account. And today they’re getting a little face-lift. That is, the face of your profile is getting a face-lift. Your profile icon is changing. If you want it to. You’ll soon have the ability to use characters from some of your favorite (or most hated) shows to represent each of up to five profiles in your account. If your kid wants to be, say, Pablo Escobar from Narcos, your kid can be Pablo Escobar. If your 5-year-old daughter has a thing for Luke Cage, well. With this Ultra tier, Netflix removes HDR from the current Premium plan and makes it an exclusive for Ultra. In some cases, Netflix is also restricting Premium to just 2 simultaneous streams while making Ultra the go-to choice if you need 4. In this case, we are testing slightly different price points and features to better understand how consumers value Netflix. Not everyone will see this test and we may not ever offer the specific price points or features included in this test. It’s possible that Ultra may never get past this testing stage, but it is interesting to see Netflix dabble with plans as expensive as this. Netflix’s next big thing might be the world of game streaming. On June 13, a report came out claiming that the company is partnering with developer Telltale Games to launch Minecraft: Story Mode on the service by the end of the year. The game is said to function similar to the interactive movie Puss in Book: Trapped in an Epic Tale in the sense that players make various choices that determine where the narrative goes. According to TechRadar, Netflix is hoping to build a setup similar to the gaming environment found on Amazon’s Fire TV platform. Netflix is constantly supporting more and more phones for HDR playback, and most recently, the company rolled out this functionality to four new handsets. This time around, HDR playback is coming to the Huawei P20 and P20 Pro, Huawei Mate 10 Pro, and the Sony Xperia XZ2. Ever since Snapchat popularized the Stories format, we’ve seen it expand to Instagram, Facebook, and even Google search. 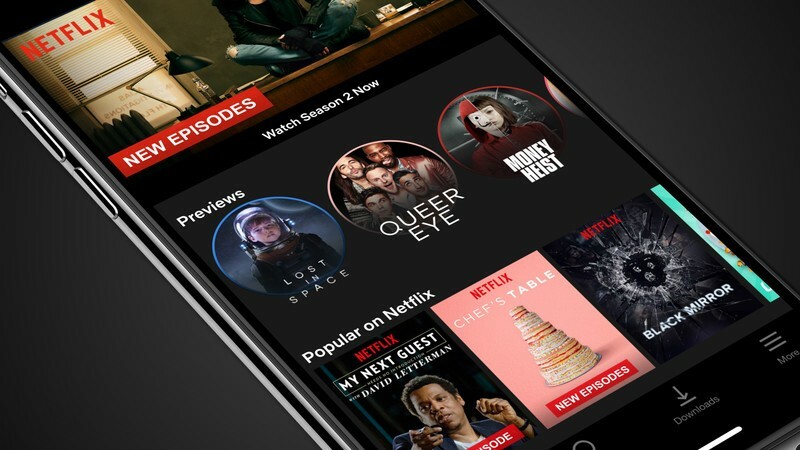 On April 19, Netflix announced it was launching its own take on stories with its Mobile Previews feature. The previews are shown like a slideshow, so if you see something you like, you can tap to play or add to your list. If not, you can swipe or tap the screen to advance to the next preview. Netflix has three main plans to choose from, including Basic, Standard, and Premium. Basic is the cheapest plan with a subscription fee of just $7.99/month, but since it’s limited to Standard Definition and only allows you to have one stream going at a time, you’ll likely want to upgrade to the Standard tier for $10.99/month. With Standard, you’ll get access to HD streams and can watch Netflix on up to 2 screens at once. If you’ve got a 4K television and/or have a big family that wants to use one account, Netflix’s Premium plan will likely be the best fit. For $13.99/month, you’ll get access to Ultra HD video content and can watch any shows you’d like on 4 different screens at once. New members can sign up for a 1-month free trial of whatever plan you’d like, and you can cancel at any time as there’s no commitment required. 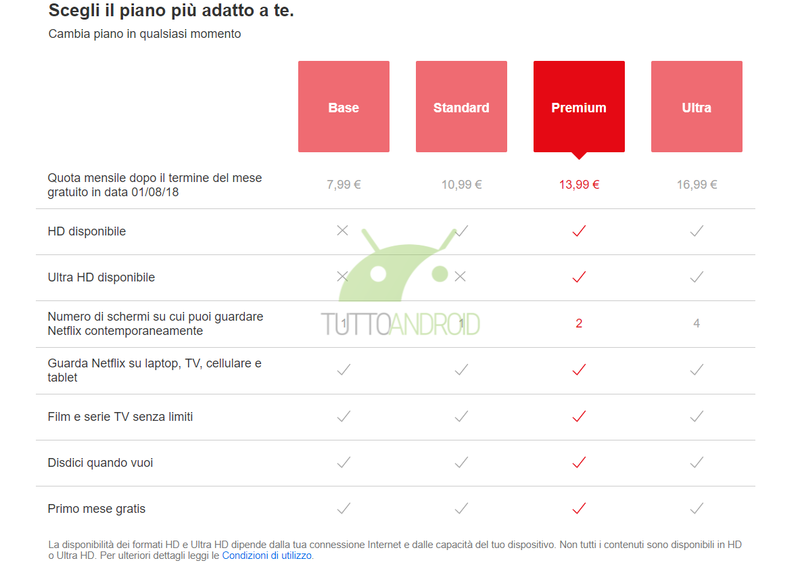 T-Mobile customers get the Standard plan for free! Netflix’s current pricing is more than reasonable, but if you happen to be a T-Mobile customer, you’ll get it for free! T-Mobile subscribers get Netflix’s Standard plan bundled with their cell service at no extra charge, and if you want to upgrade to the Premium tier, you’ll pay just $3/month extra. In addition to its excellent library of content, one of Netflix’s strong suits is its wide availability across pretty much any gadget you can think of. For watching Netflix on the big screen, you can download its official app on Android TV, Amazon Fire TV, Roku, Apple TV, cast it from your phone using Chromecast, and access built-in apps across a variety of smart TVs and Blu-Ray players. You’ll also find the Netflix app on Android, iOS, Windows Phone, PlayStation 4, Xbox One, and from your desktop/laptop at netflix.com. 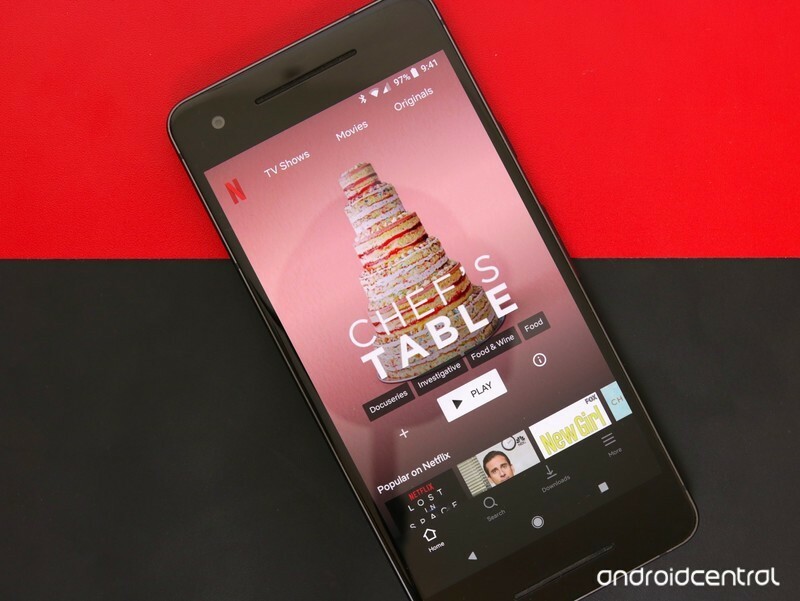 Netflix’s Android app is one of the best ways to access the service, and it recently got a big update that makes everything look much more polished. The old navigation menu on the left-hand side has been replaced for a simple navigation row at the bottom for Home, Search, Downloads, and More. Home is where you’ll be taken upon opening the app and tapping the TV Shows, Movies, and Originals tabs near the top will allow you to quickly filter the content that’s presented to you. The Search and Downloads sections are pretty self-explanatory, and More is where you’ll be able to switch profiles, customize notifications, and adjust all of your other account/app settings. Everything works about the same as it did before, but the new layout is still greatly appreciated and considerably easier to understand. Every month, Netflix changes its content library by adding and removing titles from its lineup. The company’s taken a big bet on original movies and TV shows over the last few years, but you can still find a wide array of third-party content, too. The Netflix app does a pretty good job at highlighting new/trending content as it’s released, and Joseph Keller at iMore does a regular roundup of the best shows you should be watching at any given time. Although renting physical DVDs to customers may not be its primary focus anymore, this is something that Netflix does still offer. The DVD business has since been moved to DVD.com, but it’s just a full-featured as ever before. Plans start at $4.99/month to rent one disc at a time with a cap of two discs per month, or you can step all the way up to $11.99/month to have two discs out at once and rent as many movies as you want each month (prices are increased to $5.99/month and $14.99/month respectively for HD Blu-Ray). 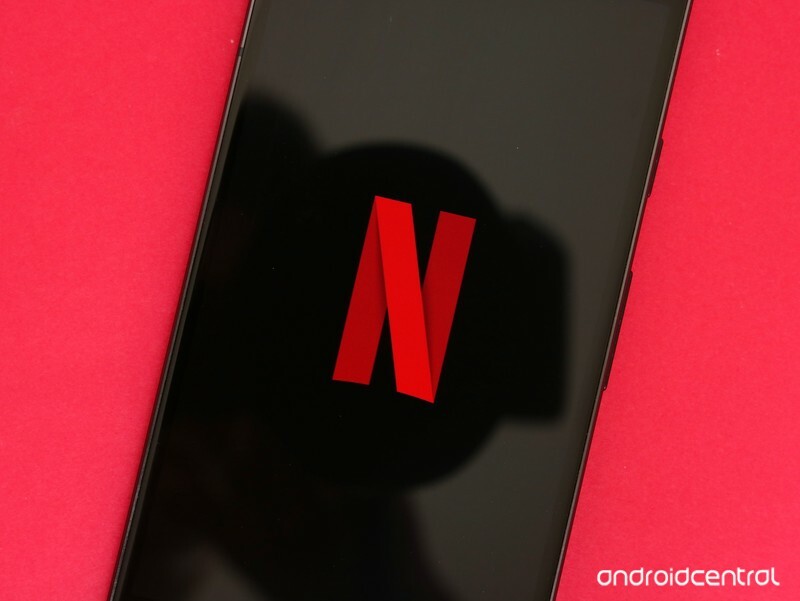 Netflix finally brought its DVD app to Android in October of 2017, and while the service may not be nearly as popular as the on-demand streaming platform, it’s still alive and kicking for anyone that wants to see that iconic red envelope in their mailbox. If you somehow still haven’t checked out Netflix, you owe it to yourself to at least sign up for a free trial. My fiance and I use Netflix just about every day, and whether you’re using it to re-watch The Office for the eighth time or catch up on the latest Marvel movies, it’s well worth every penny. Dedicated live streams show the unmissable action as it happens, but Ubisoft is offering further incentives to tune in. Watching the final days on the Six Major Paris grants access to exclusive cosmetic rewards – all completely free. Here’s how to enable Twitch Drops and claim your free charms this weekend. 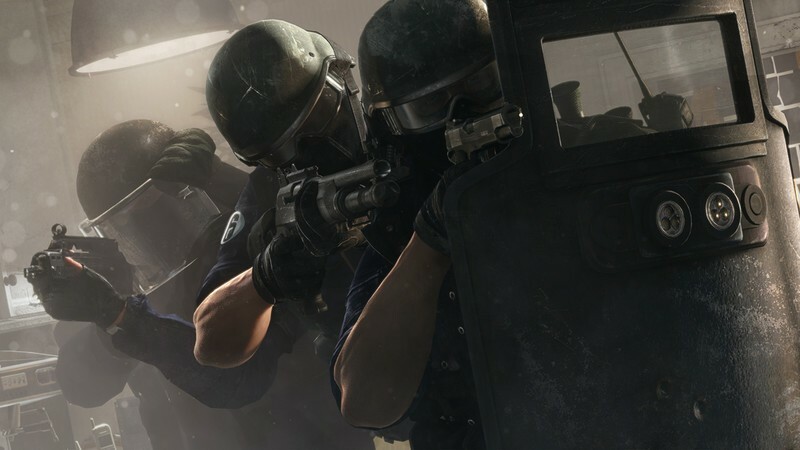 What are Rainbow Six Siege Six Major Twitch Drops? Exclusive charms were previously distributed for the USA Pro League 2018 finals. “Twitch Drops” is a reward system integrated into livestreaming website Twitch, dealing rewards to viewers of select channels. For Rainbow Six Siege, Ubisoft is distributing exclusive in-game items on the platform, serving as a memento for major esports events. These can be earned on Xbox One, PlayStation 4, and PC. Rewards are available across Pro League Finals, Six Majors, and Six Invitationals streams, with the next opportunity being the Six Major Paris 2018. While the entire week-long event is streamed online, Twitch Drops rewards will be enabled from August 17 to August 19 during the quarter, semi, and grand finals. Each of these Six Major charms will be available from August 17 to August 19. As with previous Rainbow Six Siege Twitch Drops streams, six universal weapon charms have been made for the Six Major. All charms will be available exclusively over the three-day period, making for a coveted item in coming years. 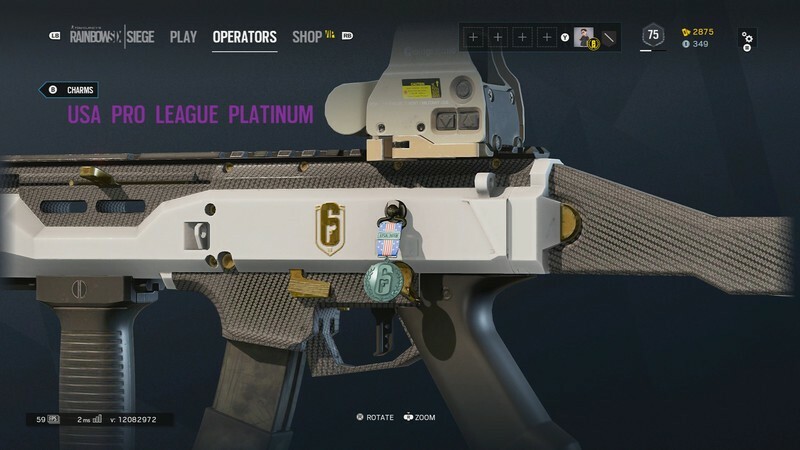 Copper, Bronze, Silver, Gold, Platinum, and Diamond variants of the charm are available, matching with the game’s multiplayer ranking system. The longer you watch, the more charms you’ll earn, making higher-tier charms harder to obtain. Ubisoft hasn’t been transparent with required watch time for each charm, though Diamond charms have unlocked after a single day of streaming in previous events. We recommend leaving the stream constantly open to be safe, ensuring the Twitch tab remains active and unmuted throughout the show. To earn Twitch Drop rewards for Rainbow Six Siege, you’ll need to prepare beforehand with your Ubisoft account. This means the account used with Uplay on PC, or your linked Ubisoft account on Xbox One or PlayStation 4. Visit Ubisoft’s Twitch Drops portal. Click Login to begin the setup process. Enter your Twitch account credentials when prompted. Enter your Ubisoft account credentials when prompted. Ubisoft promises to deposit awards August 20, 2018, after the Six Major weekend concludes. Upon their debut, earned charms will appear in your Twitch Inventory, alongside notifications pushed to your Twitch account. To access the Six Major charms in Rainbow Six Siege, there are no further steps to complete. All unlocked charms will be available when customizing weapon charms in-game. If your charms don’t appear, we recommend contacting Ubisoft’s support team. 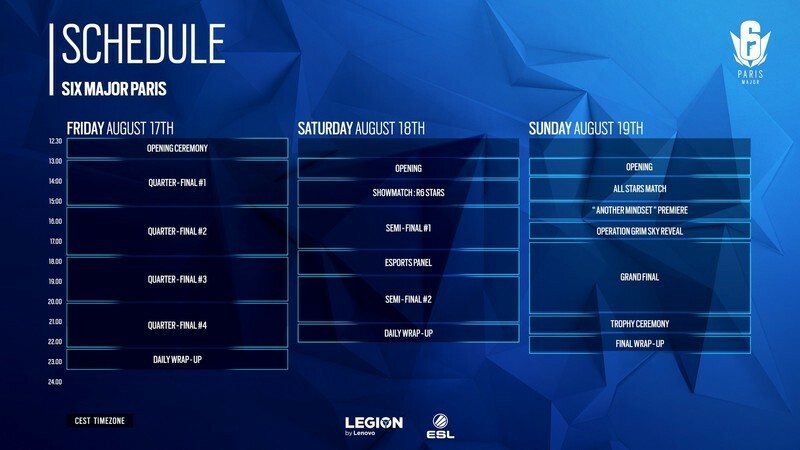 Ubisoft is streaming the Six Major Paris across 16 different regions in their respective languages, via dedicated Twitch channels. Twitch Drops can be earned from any of these 16 outlets, provided the above steps are completed. To watch the stream in your region, check out the full list of channel links below. For those uninterested in cosmetics, streams are also hosted on YouTube and Mixer. Will you be watching the Six Major in Paris? Drop into the comments section below with your thoughts. In the meantime, for more details on Operation Grim Sky, including its upcoming Operators, reworked map, and fixes, check out our cohesive breakdown below. This article was originally published on Windows Central. Check out Windows Central’s Rainbow Six Siege hub for in-depth coverage of upcoming content, latest updates, and tips to improve your gameplay. When many of us think of virtual reality, the immediate association is with gaming. VR is capable of transporting us to amazing other worlds totally unlike anything we experience here on Earth. But VR can do so much more than that — as we’ve explored through previous stories looking at virtual reality as a tool for everything from treating post-traumatic stress disorder to helping people empathize with others in different life situations. With this in mind, Los Angeles-based VR studio Embodied Labs recently developed a virtual experience intended to put users in the shoes of a person with Alzheimer’s disease, the most common type of dementia in the United States. Called The Beatriz Lab: A Journey Through Alzheimer’s Disease, it’s designed as a training tool to give caregivers the ability to better understand the important role they play in the lives of those people they are looking after. The VR experience follows Beatriz, a fictitious math teacher in her 60s, who is experiencing the effects of Alzheimer’s. Embodied Labs is offering its technology as a training tool around the world. So far, it has been used to help teach more than 2,000 caregivers across 50 organizations. The headset retails for $2,000, with a monthly subscription fee of $250 to $600, depending on the size of the organization. The team has created similar tools based around hearing and vision loss, as well as end-of-life conversations. “So far, our subscribers come from academic institutions training doctors, nurses, physician assistants, social workers, certified nursing assistants, [and] physical therapists, in addition to long-term care facilities, home health organizations, hospices, and nonprofits,” Washington said. 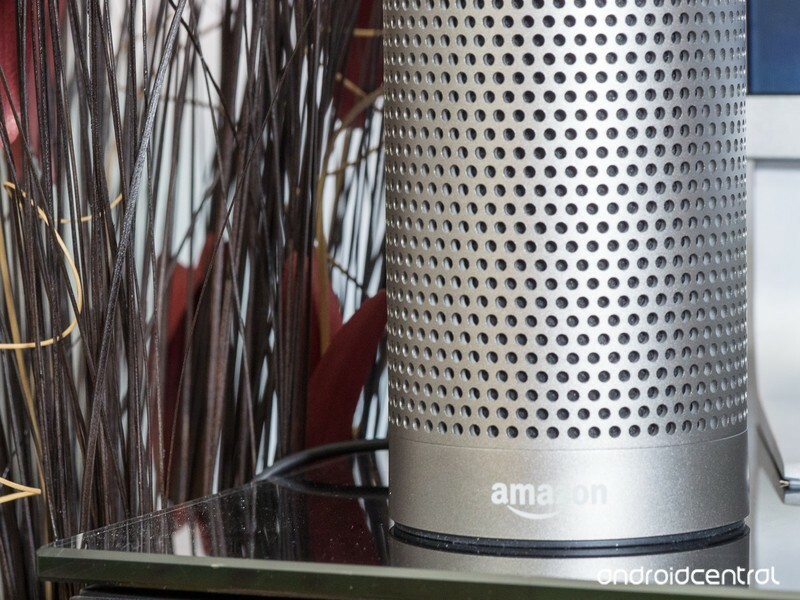 Which Amazon Echo is best for you? I have no idea. But here’s how I’d approach each one. I own too many Amazon Echo speakers — from the original Echo to the Echo Dot and the newfangled Echo Show with its screen and camera. Plus there’s the Amazon Tap and Echo Look, which you can’t even buy without an invitation (and you probably shouldn’t but it, for reasons I’ll get into in a second). This isn’t a cookie-cutter list of all the Echo speakers and why you should buy them. Hell, a couple I think you probably should stay away from. This is a list of how I see things after having used them all for months and months. Hit the links below to jump on down to the Echo that tickles your fancy. Start simple. If you’re just not sure about this whole Alexa thing and really don’t know how much you’ll get out of an Amazon Echo, it’s best to not spend a lot of money. So start with an Echo Dot! The Echo Dot costs $49 retail, but it’s not uncommon to see it on sale for as low as $30. At that price it’s kind of a no-brainer. Buy one and give it a go. Another pro tip here is to buy more than one at a time. Amazon typically has deals if you buy multiple Echoes Dot at one time — $20 is the usual savings. So if you’re like me and you know you’ll want to stash a few of these around the house, save yourself a few bucks and take advantage. Amazon has completely redesigned the basic Echo for 2017. It’s shorter than the original, squatter in nature, and you can get one clad in fabric for $99. That’s not a bad buy, and it’s what I’d recommend for someone who wants to get something better than the Dot, but still not spend more than a hundred bucks. The sound quality is decent for that price. Can you get something better? Yeah. But not for less money. If you want to spend a little more, though, $119 will get you a new Echo with a wood veneer, or in matte plastic. I’ve found the fabric version to be plenty good, though. Amazon has a new Echo Dot that is made especially for kids. Really, it’s a perfectly ordinary Echo Dot that comes with a nice little case (because kids apparently will be prone to breaking these sorts of things that aren’t really meant to be moved in the first place) — and a free year’s access to Amazon Freetime Unlimited. That’s the part that actually justifies the $70 price tag, which is $20 more than the Echo Dot at retail, and $30 more when it’s on sale. Amazon Freetime Unlimited gives you (and your kid) access to a whole bunch of kid-friendly content, including books, music, games, and more. Plus parents get access to the Amazon Parent Dashboard, which lets you set how long the kid can use any of this newfangled tech. It’ll also block non-kid-friendly content, shut off the Echo Dot at bedtime, and teach your kids to remember to say please and thank-you to not-quite-sentient tech (we have a feeling that’ll be more important than we realize). Amazon decided to keep the tried and true Echo design, but give it better internals. That gives us the $149 Echo Plus. It sounds a little better than the previous-generation Echo, and definitely better than the current 2017 model. It comes in the same matte plastic, but now you can get silver in addition to black and white. Also new for the Echo Plus is the ability to serve as a smart home hub — if the devices you’re looking to support use Zigbee to connect (you’re forgiven if you don’t know what Zigbee is — it’s not something an end user should ever have to worry about). It likely won’t solve all your smart home problems, but it’s a nice little addition nonetheless. This is a great-looking device. It’s fun. And $99 is the right price for it. This isn’t officially an “Echo” device, but whatever. It does 99 percent of the same stuff. But — and this is something of which you should be aware — it’s no longer available first-party from Amazon, but you can get a refurbished model for $70. 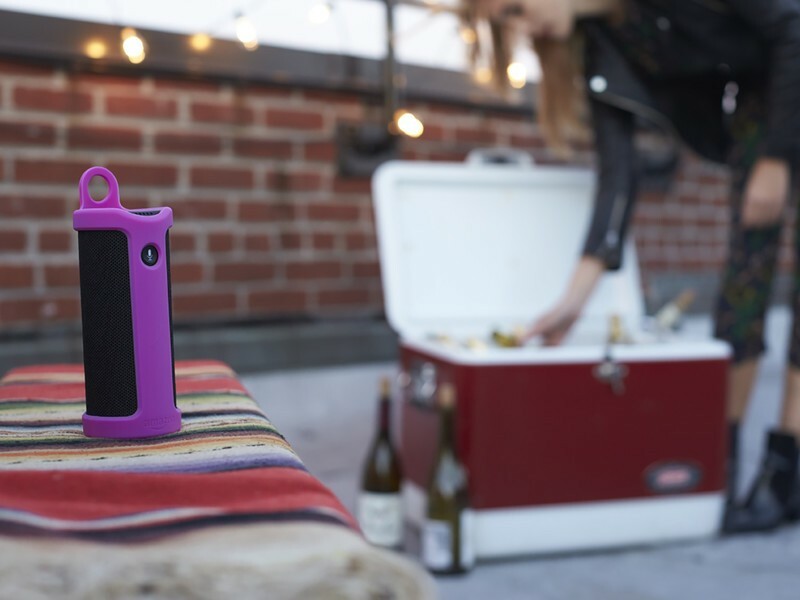 The Tap has a charging base that allows you to just pick up the speaker and take it wherever you want. It sounds decent — not great, but good. Good enough for $129 retail, though? Eh, now Amazon is starting to ask a lot — particularly when you can get a portable battery base for the original Echo for just $50 and get a much better speaker for your troubles. Or you could stick an Echo Dot in this little cordless speaker and get a decent experience — again, for just $50. 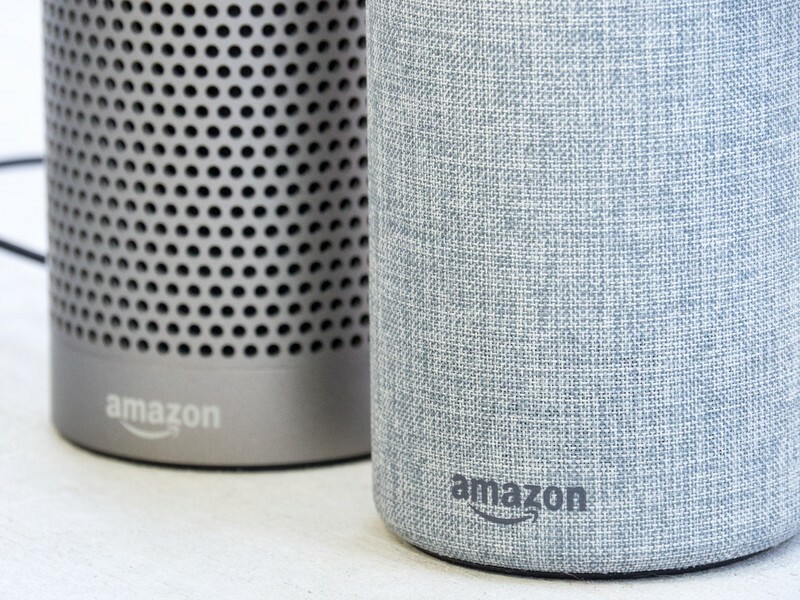 Personally, I don’t really see the necessity of a portable Alexa speaker — especially since the speaker itself needs to be connected to the Internet at all times for the Alexa stuff to work. And hotspotting to your phone just isn’t something I want to bother with. Your money probably is better off with any other Echo — or just a traditional Bluetooth speaker. Echo Show: Will it ever get better? I was an early fan of the Echo Show — the potential for an Alexa-enabled device with a large touchscreen is enormous. Unfortunately, it’s yet to pan out in the first few months. The headlines you get are pure fluff, with very little actual news, if ever and Amazon says it’s done this on purpose. Then Google decided to not let YouTube videos play on the Echo Show — likely because Amazon’s implementation was doing so without advertising. That killed one of the few reasons I’d actually recommend the Echo Show. And then there’s the fact that very few Alexa Skills actually take advantage of the display in the first place. It’s a novelty at this point, not a necessity, even though making video calls on the Echo Show is still a great experience. All that said — the Echo Show normally is $229. If you can pick it up on sale, do it. Echo Look: How much do you care about what you wear? There’s a pretty good chance you shouldn’t buy the Echo Look. Unless you really care about fashion — to the point that you want to take a picture of what you’re wearing and send it to Amazon for cataloging and analysis — then you’ll just want to ignore this. For that’s what Echo Look is good at. It’s got a camera and its own app for taking your picture from head to toe, and it does a nice job of highlighting you while downplaying everything else. From there it lets you flip back through what you’ve worn day after day, and you can have it compare two outfits and decide which it thinks looks better on you (to varying degrees of success, I found). You very much will get out of Echo Look what you put into it. I don’t care so much about what I’m wearing, so this wasn’t really $200 well spent for me. Your wardrobe mileage may vary. And in case you missed it, the $199 Echo Look has graduated from invite status and is now available for anyone to purchase. Which Echo do you prefer? Anything we missed? Sound off in the comments below. Updated August 2018: Updated pricing and availability. New Amazon Prime Originals abound, including Pete the Cat and Shakespeare’s King Lear. Summer’s just about over, but the fall TV schedule is just heating up. September sees the return of the NFL on Amazon Prime Video on Thursday nights, starting with the Minnesota Vikings at the L.A. Rams on Sept. 27. Earlier in the month, however, we’ll see a slew of Amazon Prime Originals, including the return of kid-favorite Pete the Cat, and the premiere of Forever, from Emmy-winning writers Alan Yang and Matt Hubbard. And there’s a world of your favorite movies and TV series coming to Amazon Prime Video, free with your Prime subscription. The Original Ghostbusters is back, as is the excellent 2006 adaptation of Miami Vice. Get a free Amazon Prime trial today! 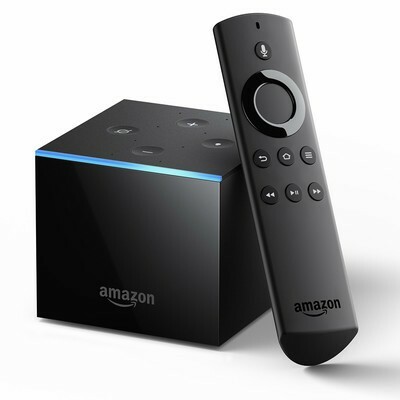 Amazon currently Fire TV Cube streaming media player for $89.99 today as part of Amazon’s off to college deals. This matches the pre-order discount that Amazon ran when it first announced the hardware and its Prime Day pricing. This is just one of the many items on sale right now. Be sure to check them all out now!